A recent article on CBN News shows a video of why Planned Parenthood should be defunded. In this video, it is made clear why we are currently in a historical moment in which we should act! You can read what was said below. Years after undercover videos provided a window into the macabre world of Planned Parenthood, I am still unable to shake the disturbing images from my brain. New York’s new late-term abortion law has left me feeling much the same as I did back in 2015 when I showed how human development begins from the very moment of conception. Watching this video back today makes me weep even more for our country, that we continue to celebrate the killing of the unborn. The Planned Parenthood videos were horrific. “It’s another boy!” staffers laughed as they pulled babies apart limb by limb, unaware they were being filmed the entire time. They casually discussed human body parts and which were more in demand and what were the best ways to yank them from the womb but keep them intact for further use. In the background of this casual conversation, a bowl full of severed legs, hands, and other distinctly recognizable human body parts could be seen. 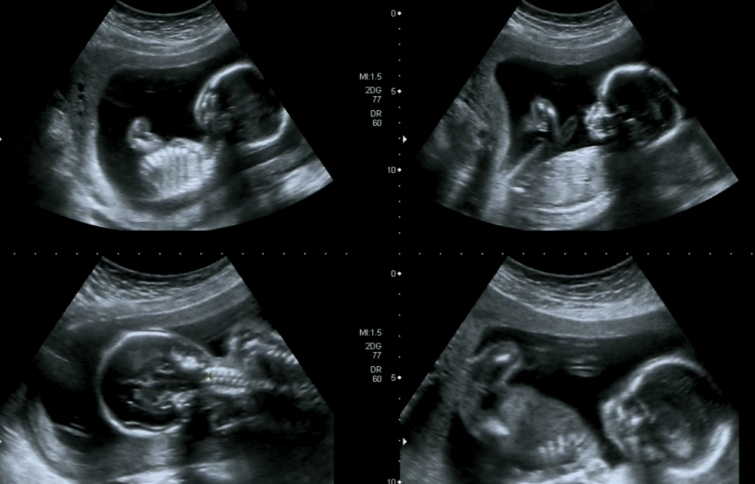 I’ve always been appalled at the idea of abortion, but these videos greatly disturbed me. How a simple word trick could blind so many people is beyond worldly explanation. Only the spiritual forces of wickedness could produce such a dark and evil societal ill that society actually celebrates. Effectively, abortion will be available “on demand” up until birth — if the woman wants to terminate her fully-formed child because she claims it is too much for her to deal with financially, emotionally or otherwise, she will be allowed to do so. Troubling stuff, which has left me feeling much the same way I did after watching those Planned Parenthood videos a few years back. The best question you can ask someone if they go this route, is when, exactly, does someone become human? Just remember, as you watch this video (below) that addresses abortion by pointing out early human development milestones, the pro-choice argument is basically this: somewhere between conception and birth the thing that’s definitely not a baby actually becomes a human baby. The best question you can ask someone if they go this route, is when, exactly, does someone become human? They will not answer this with any specificity, and for very good reason: there is no answer. They will likely offer vague terms like viability sentience. The problem with those definitions of life is that they are completely arbitrary. They are immeasurable, inexact and quite frankly silly standards on which to base the definition of human life on. Are we to believe that a baby in the womb is not a human life and then magically, within a single and impossible to detect moment viability switches on, they suddenly are human? Sentience also falls apart, in particular, because when we apply this standard of life those of us living outside the womb, it doesn’t take a rocket scientist to know that there are plenty of instances us alive people don’t have sentience – like when we’re taking a nap, or perhaps put under during a surgery. Does that mean if someone walked in and murdered them while they had no sentience, it wouldn’t matter because they’re not a human being at that moment? Of course not. Once again, this is an arbitrary standard. Your DNA forms right after conception, it’s the essence of who you are. Your blueprint. Within 2 weeks the nervous system is completed, then the heartbeat comes next, followed by the spinal cord. By week EIGHT, all structures are present in the human body. Yet, New York just passed a law that allows late-term abortions. It’s unconscionable and America should be praying for God’s forgiveness.